Like Los, the landscape here, shot marvelously by cinematographer Sophie Constantinou, is indicative of intimate moments within wider chaos, pockets of reserved solitude in which no people can be seen. Dawn Logsdon’s editing crafts an enigmatic relationship between voice and image, never cutting away in the middle of a thought, each paragraph tethered to its frame, whether complementing or contrasting imagery. 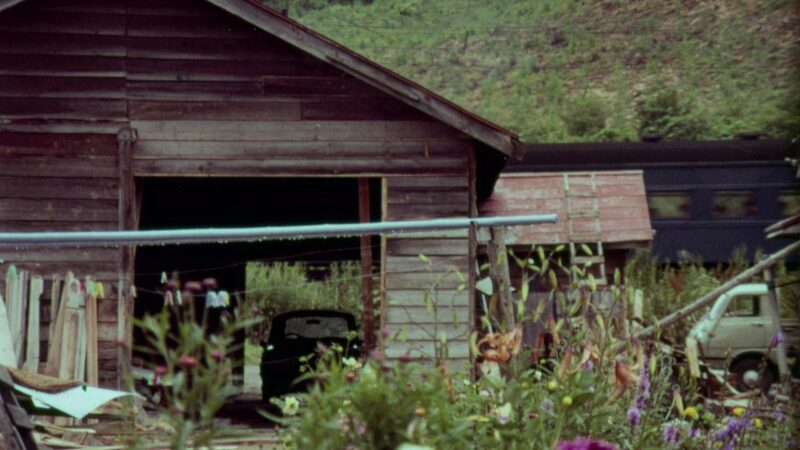 The silent shots, though, which punctuate the film and bookend some of the chapters, are some of the best in the film, this mode of contrast something distinctly different from Benning’s work. 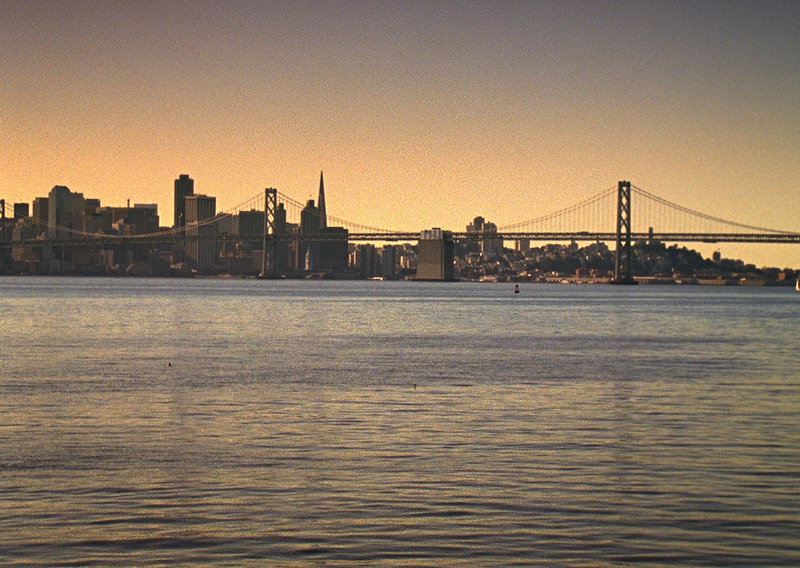 The first story in the film ends on a sudden shot of the Golden Gate Bridge, that indelible image acting not only as a reference to Olson’s previous film, The Joy of Life, which dealt in part with suicide on the bridge, but also as a piece of punctuation in the narrative of unfulfilled love – in the background of this shot, a ship sails on by.